A few days ago I was over at my grandparents to decorate their house for Christmas. At some point I got hungry and, while rummaging through the fridge, settled on celery. Celery may not sound that delectable, but I find it absolutely scrumptious, and I’m not alone! In this edition of FRIGHTS FOR TYKES I will be recommending THE CELERY STALKS AT MIDNIGHT by James Howe, illustrated by Leslie Morrill. 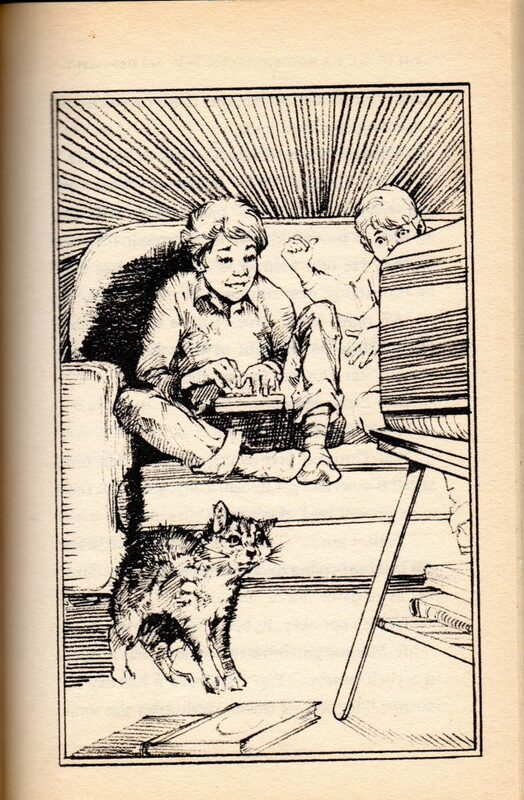 I previously covered James Howe and the adventures of Harold the dog, Chester the cat, and Howie the hyperactive puppy. In this nail-biting terror tale, Bunnicula – the vampiric bunny who started it all – goes missing. All the pets are worried, but Chester is over the moon. He’s convinced that Bunnicula has the power to turn vegetables into vampires intent on draining the life out of unsuspecting people and pets. What follows is a hairy and scary story that will leave young readers even more terrified to touch produce! 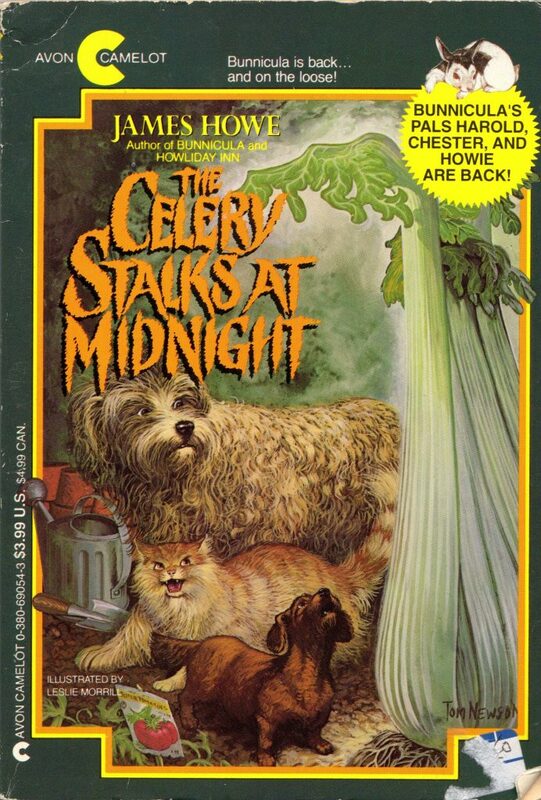 THE CELERY STALKS AT MIDNIGHT is one of my favorite BUNNICULA books as it combines my two favorite things: animals and evil vegetables. I bought my edition of THE CELERY STALKS AT MIDNIGHT for $2 at a thrift store but you can purchase the same edition on Barnesandnoble.com for $5 plus $4.99 shipping and $0.80 tax, used, in “Good” condition. I highly recommend you lock up your crisper and buy this book for someone who won’t eat their greens this holiday season!